The next meeting of the Huffman Prairie Aviation Historical Society will take place on Monday, April 1, at 7:00pm. All are welcome! Mr. Alfter will share the story of his father’s World War II experience as a tail gunner with the 545th Bomb Squadron, 384th Bomb Group. 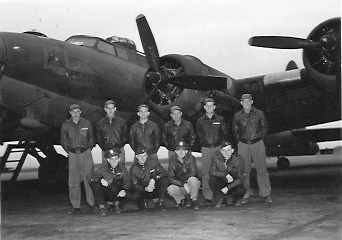 On April 13, 1944, his father’s B-17 was shot down while on a mission, his 23rd, to Schweinfurt, Germany. The pilot, navigator and his father were captured and spent 13 months as prisoners of war. This entry was posted in SC&A and tagged aviation history, HPAHS, Huffman Prairie Aviation Historical Society, outreach, WWII. Bookmark the permalink.